Giulio Cossul of the University of Manchester will give a seminar on Thursday the 4th of October in the lecture theatre of Collegio A Volta (17, via A Ferrata) at 5.00 pm. 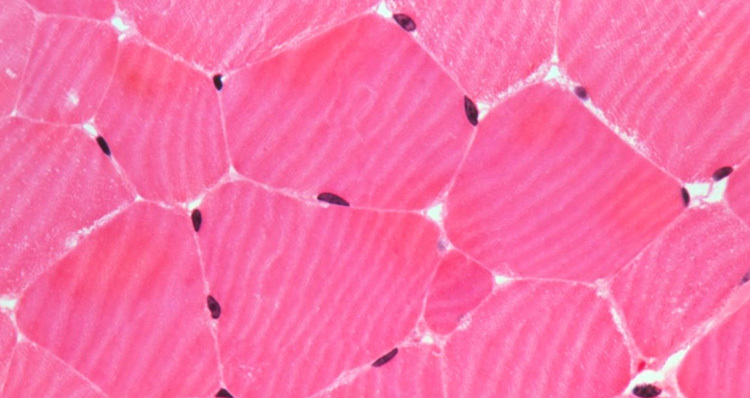 The seminar, entitled Challenging therapies for muscular dystrophies, will discuss recent work by the speaker in developing new molecular and cellular strategies for treating this group of diseases. The poster of the lecture can downloaded here and all students of Biology, Biotechnology and Medicine Courses as well as members of Collegio A Volta and members of the Department of Molecular Medicine are strongly encouraged to attend. In the last few years there has been significant advance in pre-clinical and clinical work of gene and cell therapy for muscular dystrophy. Currently there are several trials ongoing and more are expected to start. It is thus a time of expectation, even though many hurdles remain and it is unclear now whether they will be solved by current strategies or further improvements will be necessary. After reviewing current work in the field I will describe our current effort for an implemented protocol of cell therapy for muscular dystrophy. My laboratory has been working for many years on skeletal myogenesis and on the development of cell therapy protocols with stem cells for muscular dystrophy. We showed that neural tube (Vivarelli and Cossu, Dev. Biol. 1986) and dorsal ectoderm (Cossu et al., Development 1996) activate, through different Wnts, distinct myogenic programs in epaxial and hypaxial somitic progenitors. We also described myogenic cell heterogeneity (Cossu and Molinaro, Curr. Topics Dev. Biol. 1987) whose molecular basis has been recently elucidated (Messina et al. Cell 2010). We developed the first pre-clinical model for analysis of human myogenic progenitors in vivo (Salvatori et al., Hum Gene Ther. 1993), and discovered the myogenic potential of a bone-marrow derived, circulating progenitor cell (Ferrari et al., Science 1998). Our studies on unorthodox derivation of myogenic cells by non-somitic tissues (Tajbakhsh et al., Neuron 1994; Salvatori et al., J. Cell Sci. 1995) set the basis for the understanding of recruitment to myogenesis of non-myogenic cells, and the origin of multipotent mesoderm stem cells. We identified a mesoderm progenitor in the dorsal aorta (De Angelis et al. J Cell Biol. 1999), i.e. the mesoangioblast, able to contribute to mesoderm tissues upon transplantation (Minasi et al. Development 2002). Mesoangioblasts were used for the first successful cell therapy protocols of muscular dystrophy in mice and dogs (Sampaolesi et al. Science 2003; Nature, 2006). We characterized human mesoangioblasts as a subset of muscle pericytes (Dellavalle et al. Nature Cell Biol. 2007). Together, this data set the basis for a first clinical trial in Duchenne patients with stem cells (Cossu et al. EMBO Mol Med. 2015). We are currently optimising the protocol aiming at reaching clinical efficacy.